The badges presented below are indicative of ratings presented through different sources who utilize different rating and selection processes. No aspect of these advertisements are approved by the Supreme Court of New Jersey. It’s also important to share the process by which these ratings are assigned/applied, and each are shared below. 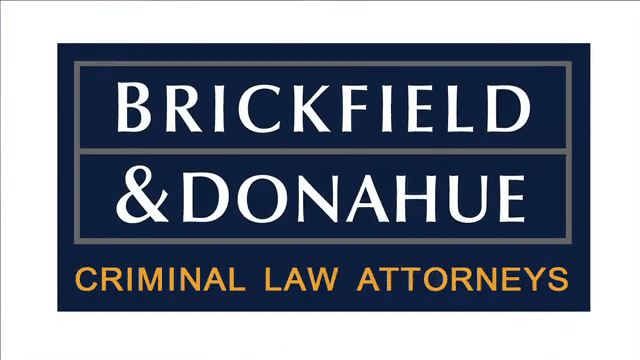 Whether you face criminal charges of a misdemeanor, felony, or even a federal criminal offense in New Jersey, you can rely on the Bergen County criminal defense attorneys at Brickfield & Donahue to protect your freedom. Our partners are backed by more than 25 years’ experience each, bringing a combined 55+ years of experience to your defense case. As former prosecutors, we know how the government builds a case against defendants. As Criminal Trial Specialists Certified by the Supreme Court of New Jersey, we know how to successfully defend our clients in the courtroom. We can launch the proactive, expert defense you deserve. Call (201) 574-7919 or contact us online today to request your FREE consultation with a Bergen County criminal lawyer. We have both formerly served as prosecutors. Paul B. Brickfield was an Assistant United States Attorney for the District of New Jersey and served as a Deputy Chief of the Special Protection Unit. He then became First Assistant Bergen County Prosecutor. Joseph R. Donahue was an Assistant Prosecutor in the Bergen County Prosecutor’s Office where he served as the Chief of the Criminal Investigations Squad and also served as Assistant Chief of the Trial Section. While some prosecutors turned defenders are only familiar with one stage of the prosecution process, we rose in the ranks to supervisory positions as prosecutors. We know the sophisticated inner workings of all phases of criminal prosecutions, from overseeing investigations, directing charging decisions, presenting cases to the grand jury for indictment, the plea process, the trial process and finally the sentencing process. Now, we are Specialists in Criminal Law and are Certified by the New Jersey Supreme Court as Criminal Trial Attorneys. This means that we have passed the rigorous requirements for becoming experts in the criminal justice system of New Jersey. This is an honor that few attorneys in the state are able to boast. We have handled criminal trials as both prosecutors and as defense counsel in the Federal, State, and Municipal Courts of New Jersey. Our Bergen County criminal defense lawyers understand how trials are won and lost and we are ready to put our decades of experience and expertise to work for you. Speak with us today to learn how we can protect your freedom in the face of serious criminal charges. Dismissal of DWI Charge Based on Lack of Proof of "Operation of Vehicle"
We always strive to put our clients in the best position possible, so our immediate goal is to obtain a case dismissal or acquittal. If this cannot be done, we seek to minimize the consequences by all legal means possible, perhaps by pursuing a plea agreement, which could include alternate sentencing that improves the impact on our client’s record. Our Bergen County criminal defense attorneys are resolute advocates who never hesitate to take a case to trial if we feel it is in the best interests of our client. No matter how complex your charges may be, we have the proven expertise and passion to help you achieve a positive outcome. Discover how we can help you today.